Google's Made with Code initiative will try to get teen girls into programming. Photo by Lily Hay Newman. 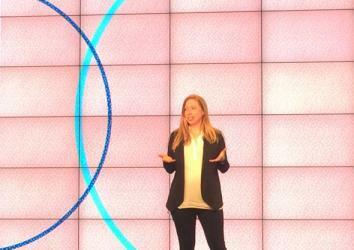 On Thursday Google announced a new initiative to get adolescent girls excited about coding. Dubbed Made w/ Code, the program is a way for Google to provide resources and act as a central body through which groups like Girl Scouts, Girls Who Code, and Black Girls Code can coordinate and advertise programs. 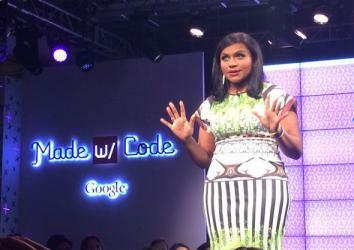 Mindy Kaling doesn’t code, but she is relatable. And Smith spoke to parents, too, saying that you don’t need to have a technical background or knowledge of programming to encourage an adolescent girl to learn coding skills. “Just tell her she’ll be good at it because she will [be],” Smith said. That might be a bit overoptimistic, but the goal of the event seemed to be to show that being a programmer isn’t lame or dorky. It’s cool, mainstream, and even glamorous. Mindy Kaling was definitely reading from a teleprompter, but seemed enthusiastic enough about being the emcee for the evening. Chelsea Clinton’s call to arms. It was an exciting, high-energy launch, but I couldn’t help thinking that the reality of working and trailblazing can’t possibly be as glamorous as the party atmosphere of the event. I don’t think of improving gender ratios in fields like medicine and law as being fueled by cool pump-up parties. 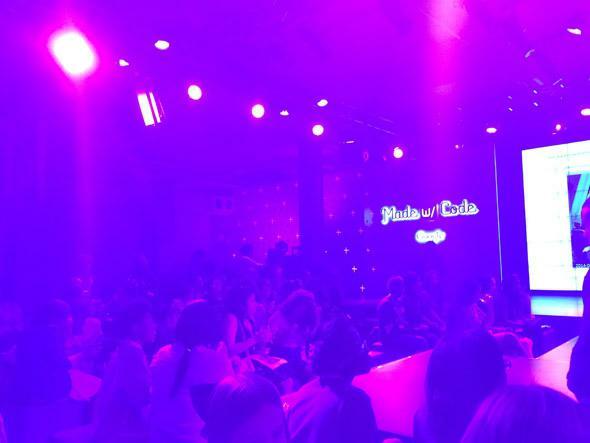 The strangest thing about the Made w/ Code event was offhand remarks from Kaling, Clinton, and others joking about their ages and implying that they were jealous of the audience’s youth. 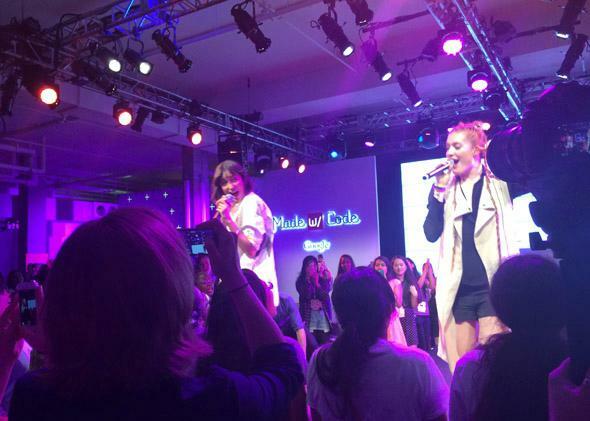 Icona Pop even shouted, “You all look so pretty tonight!” into the crowd. It’s difficult to make a totally clean break from traditional societal expectations like the idea that women are more valuable when they’re young. But using glamor as a selling point can only go so far anyway. Given opportunities through Google, school, or another source, girls have to decide that they like programming and then pursue it—while everyone else works on thinking of that as completely normal.